Award winning gins, matched to a menu crafted by one of Australia’s best chefs, Jan Gundlach, in a luxury setting with over 80 stylish and fun new friends: what’s not to love about that? Well, that’s what’s happening on the evening of Saturday 11th June as I host a special event to celebrate the spirit of the times, Gin. I’ve designed two bespoke Martinis to choose from on arrival, then you’ll enjoy a short demo by yours truely on how to craft the perfect Dry Martini. 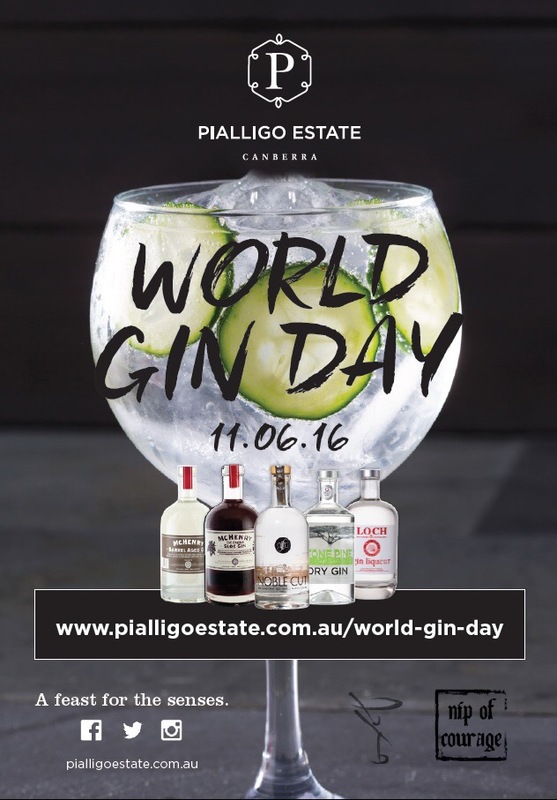 The superb team at Pialligo Estate will serve you a menu of food that integrates gins from around Australia from the passionate craft spirits team at Nip of Courage. The evening will feature gins from Loch Brewery, McHenry and Sons, Young Henry’s and Stone Pine. I’ll take you through some of the mysteries of gin, and you’ll also be able to taste the range separately. There are more details below, and you can click through to book your places, don’t delay! I look forward to welcoming you on the night.